Are you thinking of purchasing a building meant for commercial purposes? How sure are you that the conditions of this building are up to par? When looking to purchase property, buyers are encouraged to exercise vigilance. While some properties are in perfect condition both internally and externally, other properties look good on the outside, but a keen look on the inside reveals a different story. This explains why it is of utmost importance to seek the services of professional commercial real estate inspection services, like Bulldog, to avoid incurring costs associated with buying faulty properties. The world of real estate is vast. It includes homes, office buildings, malls, apartment complexes, industrial areas among many others. For serious investors, it is paramount that a building undergoes a thorough inspection before money exchanges hands. A good inspection company looks to provide buyers and owners of commercial property detailed reports that will help inform their decision on whether to buy the property or continue looking. Inspection professionals may ask to first visit the property and do a rough assessment before providing you with a quotation. The resultant report consists of structural and mechanical system findings realized after conducting in-depth investigations on a particular property. 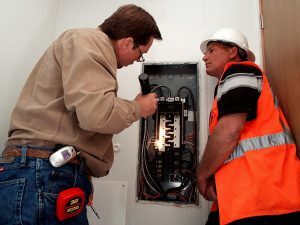 It is conducted by licensed building inspectors who investigate whether certain important components of the said building are in good condition or otherwise. This is what helps the owner of the building, or investor, decide if they are going to purchase the property or not. At this point they’ll have to weigh the costs associated with fixes are worth purchasing the property or just moving on to another. Note that under certain circumstances, inspection services are divided into two. 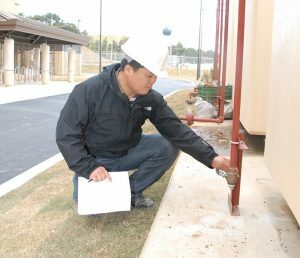 They include light inspection services and comprehensive inspection services. 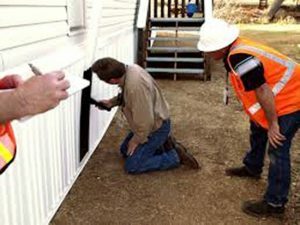 Comprehensive inspection of property involves carrying out further investigations not only at the building alone but the outside environment as well. This is mostly carried out on properties such as banks, schools, churches, restaurants, industrial buildings, warehouses and other types of buildings which tend to regularly hold an increased number of people compared to certain other commercial properties. Review of Environmental data resources including maps that indicate the presence or lack thereof of underground tanks. A dependable investigation report is important as it can help save the investor a lot of money. For instance, buying a building whose roof is old and faulty may cost the owner tens of thousands of dollars in both labor and purchase of roofing material while trying to repair or replace the roof. Commercial investigations also help to avoid incurring expenses aimed at covering damages to an apartment complex or office space once your lease is expired. At the end of the day, an inspection service works more for you than against you as a buyer or investor. You may be eager to purchase the property but you may be blinded by excitement. This makes it difficult to find and identify certain issues on, or in, a property at least until it’s too late. You cannot rely only on a real estate agent’s word which looks to steer away from the faults of a building by showing you only the positive aspects of the property. However as beautiful as a building may be, this doesn’t rid it of issues once you have already moved in or rented it out. By hiring the services of Bulldog Inspection, you can rely on an honest, unbiased and comprehensive report to give you the details you need to make an informed decision about purchasing the property or not.